Doctor Lynn Davis is kidnapped by handsome Lord Kyle von Talion and taken to a far off planet, Saldiora. As she finds herself in this unfamiliar culture, she must learn to fight with a sword, ride a talking horse, and endure the politics of a royal court if she is to survive. Kyle has his hands full keeping Lynn from making cultural blunders and ensuring her safety. The Juntu's are plotting to take over Saldiora and consider Lynn to be a threat to their success. Will Lynn live long enough to fulfill her destiny and save the kingdom of Saldiora? It took me a really long time to finish this book. Longer than I usually finish 300-page book that is. The main reason for that is the full on info dump in the first few chapters. I rarely read sci-fi because this is what I usually get. I wasn't eased into the story. I had a hard time keeping up with all the names and terms that they used that I wasn't interested enough to finish it immediately. All the time they spent on their spaceship, Destiny, was really dragging for me. I just kept reading without fully knowing where the story's headed. It took me a while to get a hang of everything but I eventually found myself enjoying it. However there was still this one factor that bothered me all throughout the book: character development. Lynn Davis is a genuinely good person. She tried her best to be polite and to treat Saldiorans with respect and equality. There were customs that had to be followed but she took it upon herself to change those that she felt could use a bit of improvement. Inasmuch as I liked how good she was I also had a big problem with how good she was. From the moment she was kidnapped to the moment everything about her true identity was unraveled, Lynn Davis was too good. She was so resourceful that she was able to use random items in Kyle's bedroom to help her in escaping. She was able to learn how to fire machine guns on a flyer. She led her team of slaves in rescuing a kidnapped person. She's... all that. But what really irked me most was how it didn't seem like she had a hard time accepting everything that has happened to her. She didn't freak out so much upon learning of the existence of Saldiora. She barely flailed when she was being taught how to work the big gun. She was just too good! I couldn't find a single flaw on Lynn Davis except for probably her stubbornness but nobody complained about that because it made her do incredible things that endeared her to them eventually. I have no problems with characters who are kickass and all that. But I don't like characters who are nearly perfect. I have to see some kind of flaw. At least give the character some space for growth. None of the other characters stood out except maybe for Brigieta and it was only because she's evil. You can't go wrong with villains. But the good guys? They weren't as appealing. Take Kyle for example. I didn't see what made him so handsome. I couldn't even remember if there was enough physical descriptions of Kyle (wait, I can't remember if Lynn's appearance was thoroughly described either). I thought there would be some sort of connection between him and Lynn but apparently I was wrong. He was just... meh. The only other character I found intriguing was the prince but he didn't have that much exposure. He'll most likely have a bigger role in the sequel. Despite all of that, I still found some redeeming qualities. I don't always enjoy stories told in the 3rd person POV but I've got to say this was written rather well. The transitions, whenever the focus of the chapters would switch between the different characters, were smooth. You'll just have to get past the info dump in the first few chapters to really appreciate the storytelling. I also liked the world building. While it slightly reminded me of The Selection by Kiera Cass with the competition for the prince's heart, the premise was still enjoyable because of the world Harley created. It was a combination of Star Trek and Star Wars with a cool Saldioran twist. If there's something I couldn't get enough of, it was everything about Saldiora. I also like how the ending leaves you intrigued and interested in what happens in the next book. So. Would I recommend this sci-fi novel? Sure, especially if you're into that genre. I might've had problems with the characters but maybe it was just me. The beginning was a bit rough but once you get past that, you'll enjoy the rich culture and well-thought-out world of Saldioria. You'll find yourself enjoying it just like I surprisingly did. Dr. Linda Harley was born in Durban, South Africa and moved to the US in 1999. 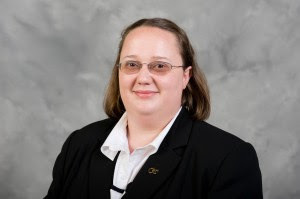 In 2011 she received her PhD in Applied Physiology from the Georgia Institute of Technology. 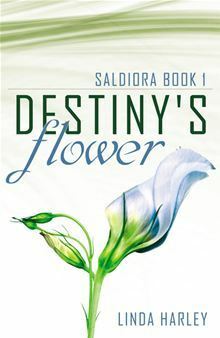 While in graduate school, the idea for Destiny's Flower blossomed as she considered the importance and diversity of different cultures. How people from all over the world could accomplish things together despite these differences intrigued her and so she embarked on this novel to explored the importance of remaining true to who you are in a world that is ever changing.